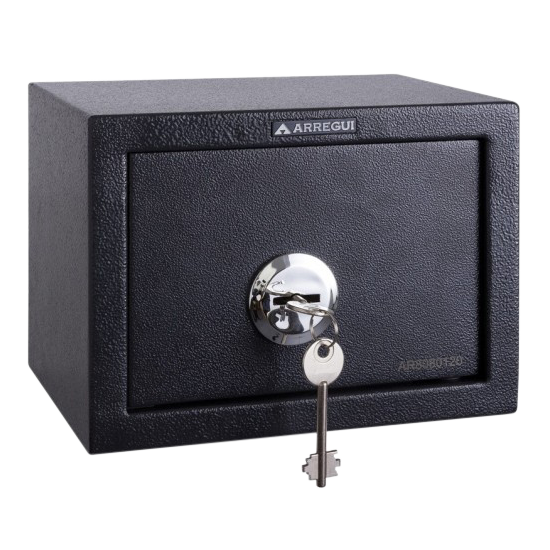 The CLASS Desktop Safes from Arregui are compact in size and designed for use on desktops, making them ideal for use in both domestic properties and hotels. This digital locking version is locked using a 4- 8 digit resettable combination, with 1 million available combinations. It also features emergency key override ability, and is supplied with 2 plastic headed tubular keys. It is fairly spacious for such a compact desktop safe, with a 9 litre internal volume. It has pre-drilled holes in the base and back so it may be either wall or floor fixed, and it is supplied complete with fixing screws. 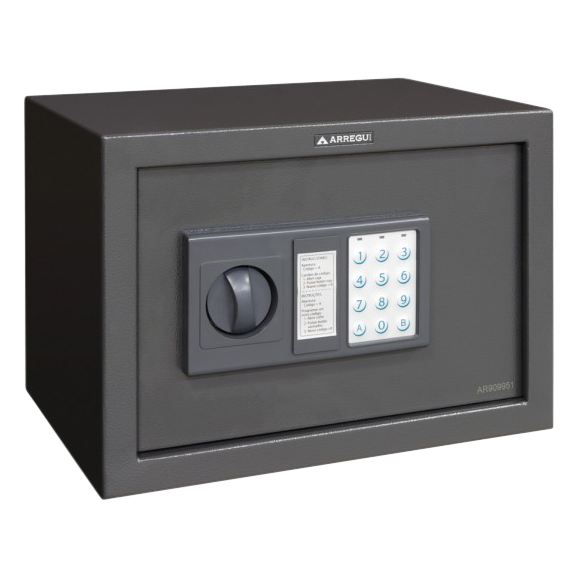 The CLASS Desktop Safes from Arregui are compact in size and designed for use on desktops, making them ideal for use in both domestic properties and hotels. This key locking version is double bitted for extra lock strength, with a 4 litre internal volume. It has pre-drilled holes in the base and back so it may be either wall or floor fixed, and it is supplied complete with fixing screws and 2 keys.